Ambushes. Traps. Jungle warfare. A heart-pounding meeting of enemies… It’s 1945. The world is in the grip of war. Hideki lives with his family on the island of Okinawa, near Japan. When the war crashes onto his shores, he’s drafted into the Japanese army. 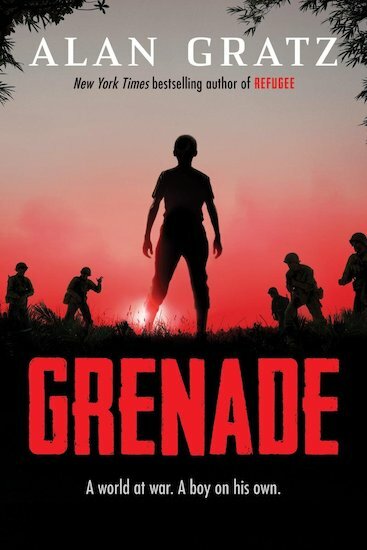 He’s given a grenade – and a command: ‘Don’t come back until you’ve killed an American soldier’. Ray is a young American Marine. He’s just landed on Okinawa. It’s his first battle, and he doesn’t know if he’ll make it out alive. All he knows is that the enemy is everywhere. And when Hideki and Ray collide in the heat of battle, the choice they make in that single instant will change everything.